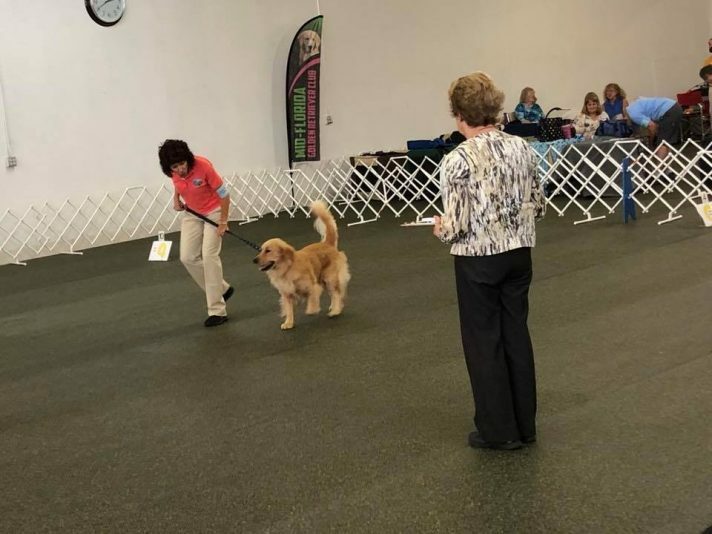 The entry premium is now available for the Mid-Florida Golden Retriever Club’s annual Obedience and Rally Trial, scheduled for Saturday and Sunday, Aug. 10-11, at the Obedience Club of Daytona building in Daytona Beach, Fla. Judges for the trial will be Ted McCall, Carol Mett and Nancy Watson. The premium can be downloaded here. 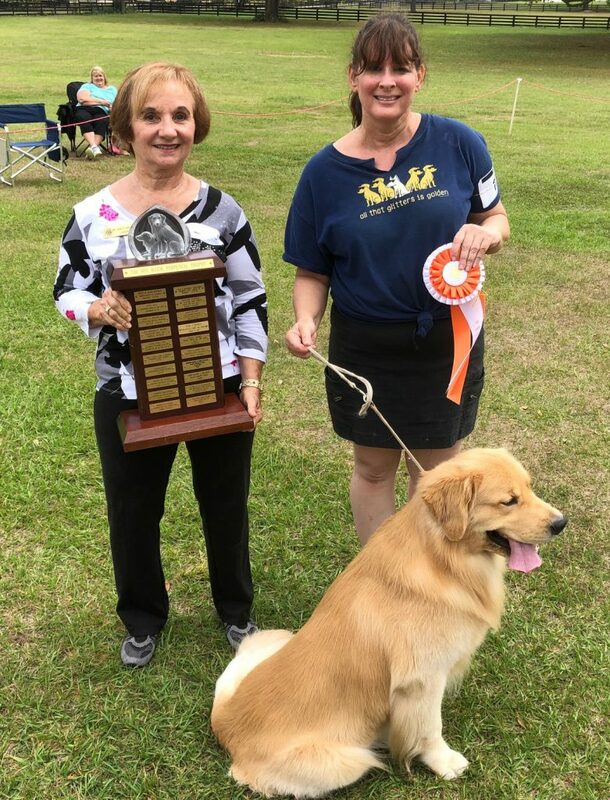 The Mid-Florida Golden Retriever Club held its annual “Fun Match” on Saturday, March 17, at the home of club president Ann Rowe in Sorrento, Fla. Held outdoors, the AKC-sanctioned “B” Match included all-breed Rally and Obedience as well as conformation for Goldens. If your dog has won a new title in 2017, please email the full name of the dog and what the title earned was to MFGRC vice president Ann Rowe. 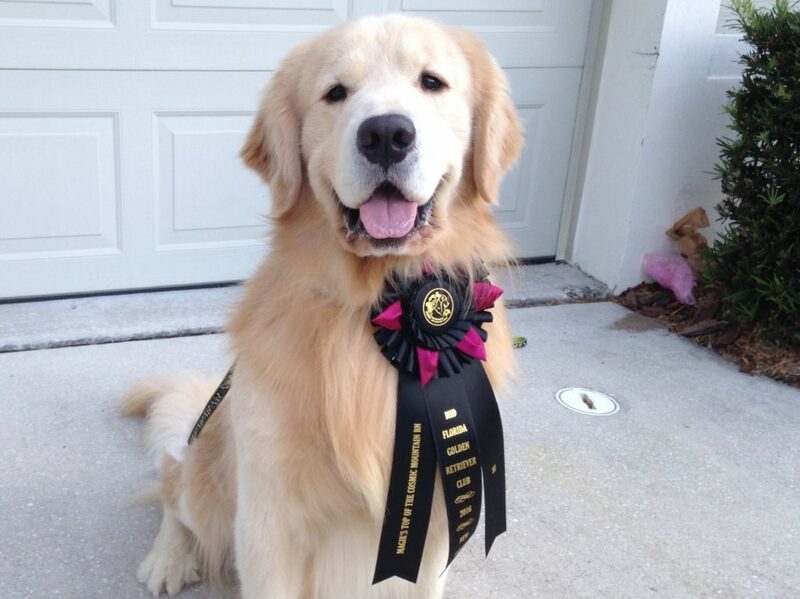 Ann will order the rosettes later this year and make them available for pickup early next year. Ann’s email address is magikgldn1@aol.com. Deadline for submissions is December 31, 2017.